5-CD boxed set (LP-size) with 84-page hardcover book, 148 tracks. Playing time approx 358 mns. 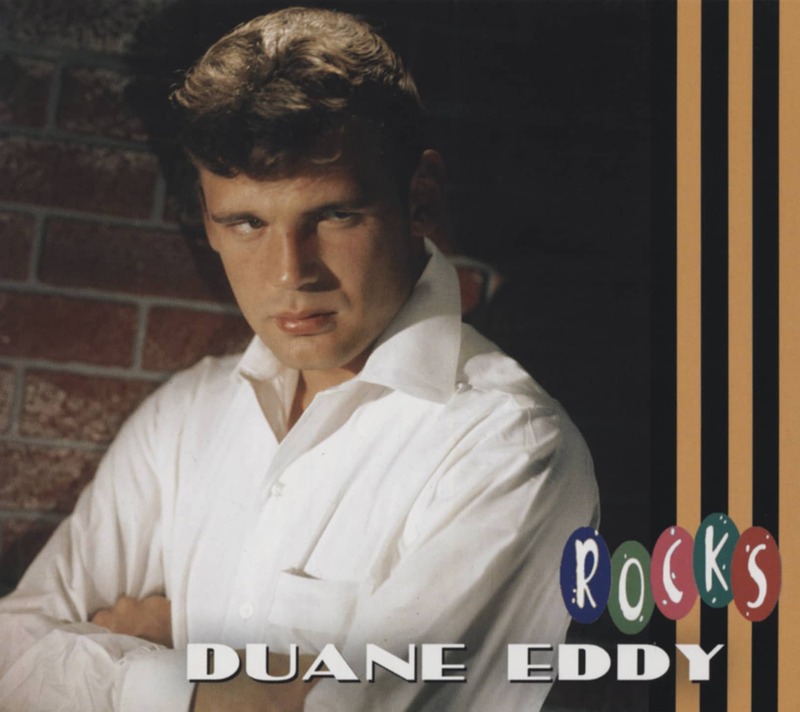 There are 148 tracks including Eddy's first recording, Soda Fountain Girl by Jimmy (Delbridge) and Duane, pre-Jamie versions of Ramrod and Caravan and a clutch of rare vocal tracks by other artists all of which feature Eddy's unmistakeable low-down fretwork. 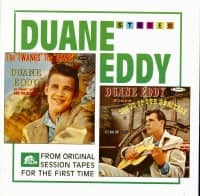 Customer evaluation for "Twangin' From Phoenix To L.A. (5-CD)"
Press - Duane Eddy Twangin' From Phoenix To L.A. (5-CD) Classic Cuts June 2012 Duane Eddy was immensely influential as a musi- cian. His electric guitar instrumentals forged an entire rock guitar cul- ture.As an artist in his own right, he was immensely success- ful totalling fifteen hits in five years from 1958 to 1963 while his Peter Gunn single continues to express an iconic sound that was much covered by many of the early beat groups in the early sixties, as well as more contemporary outfits such as The Art Of Noise (with Eddy guesting on guitar, no-less) and Emerson Lake and Palmer. Eddy – obviously a frustrated audiophile – talked about the origination of that ‘twang’,“When I first went into the studio in the fifties, I learned that the bass strings recorded better than the high strings. They were more powerful and more gutsy. So that’s how I came up with the sound. I had to be careful not to overplay. [If you do] It runs together and takes away a lot of the feeling and direction. I had this amp that was more powerful than any on the market at the time. It didn’t actually make it louder but it made the sounds clearer.” This new release from German- based Bear Family (www.bear-family. 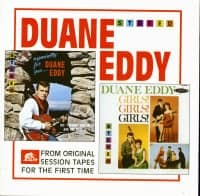 de) includes all of the tracks recorded for the Jamie label, by Eddy, including Peter Gunn, but also others such as Rebel Rouser, Cannonball and Yep.